How pretty are these ice cream coloured pastel pumps?! 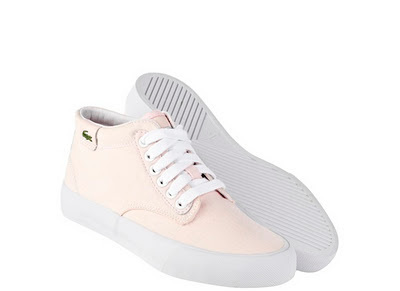 I'm totally loving the bang on trend Lacoste Barbados Mid L!ve trainers for Women which are set to drop early next month, priced £60, and make the cutest alternative to the now ubiquitous summer plimsoll. Keep an eye out for them at Lacoste's online store.